Friday morning John and I left Prague by train and traveled to Osnabruck, Germany, which is the home of our erstwhile exchange student, Nicole, and her family. They made us a lovely dinner and we spent the evening talking and laughing and communicating as best we could. They invited us to spend the night at their house and in the morning served us a fairly traditional, and delicious, German breakfast of bread, meat and cheese. It was great to meet them and see how typical Germans live. 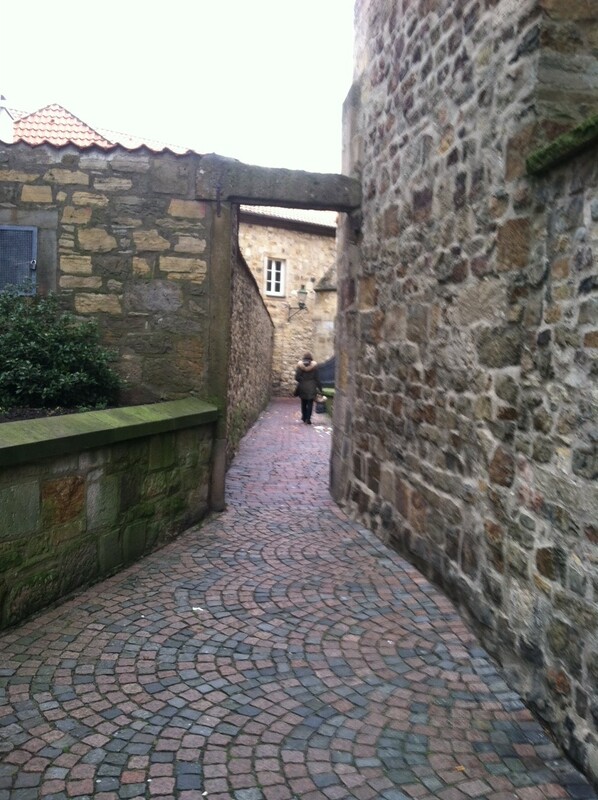 Nicole took us on an abbreviated tour of her town and showed us the sights, one of which is the Witches Walk. If you were accused of being a witch you invariably ended up in this narrow alley and were led to the river where weights were applied to your legs and in you went. If you died you were vindicated and not guilty of being a witch. How one could survive this treatment is beyond my limited capacity for understanding, but if you did survive you were clearly a witch and summarily dispatched by some other method. What was very fortunate about this trip is that Osnabruck is only 87 miles from, Petkum, the town where my great-grandparents lived. 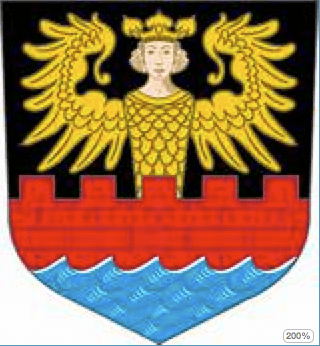 The family name was Weerts, and I had contact info for a woman, Julia Weerts, with whom I am third cousins – our great grandfathers were brothers. 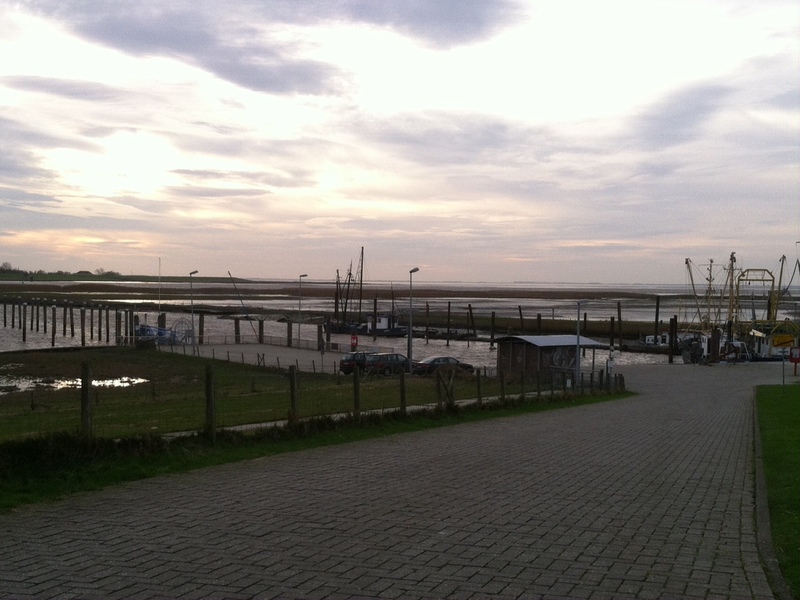 We made plans to meet for lunch in Emden which is the larger area of which Petkum is a part. Driving in a foreign country is a great way to have fun and improve your marriage at the same time. We were only 12 minutes late and I only drove on the sidewalk for one block. A successful trip! Julia was waiting for us outside the restaurant and was able to assure me that, yes, what I thought was a sidewalk, was indeed a sidewalk. 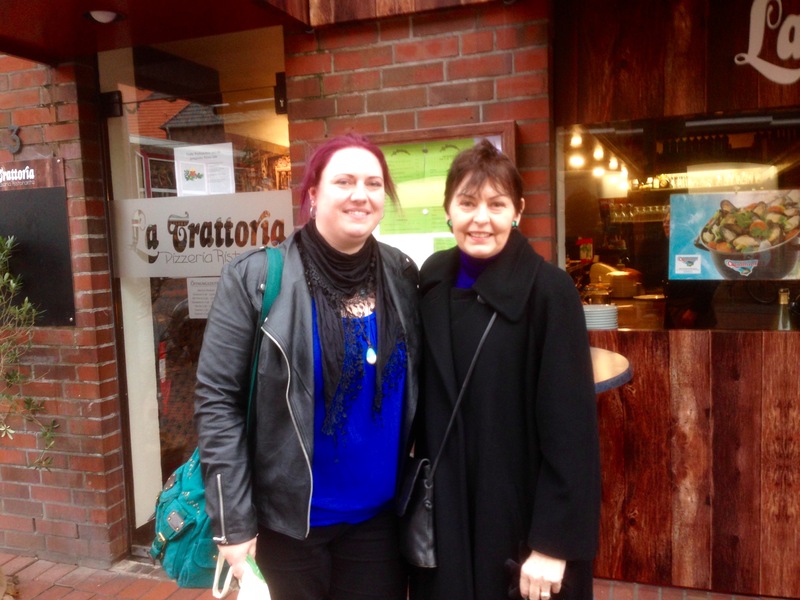 We lunched and chatted about family things, and about the area which was originally part of the kingdom of East Frisia and, according to Wikipedia, has been inhabited since Paleolithic times. After lunch we drove over to Petkum for a tour. 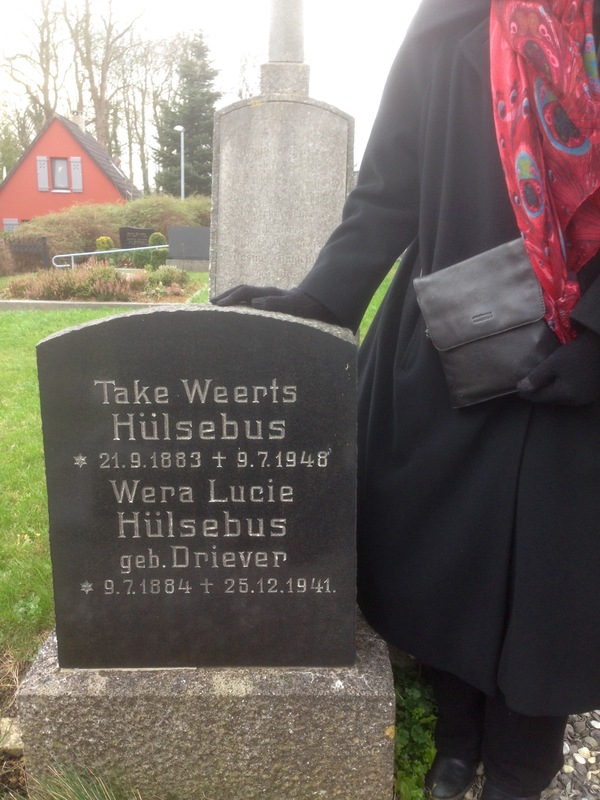 We walked around the church yard to check out the gravestones and found one with my mother’s maiden name, Weerts, as someone’s middle name. That was quite exciting as in Germany and other European countries, due of the shortage of land, graves usually only exist 30 years and then the stones are removed and someone else is buried in that spot. For this purpose folks are buried in biodegradable coffins. 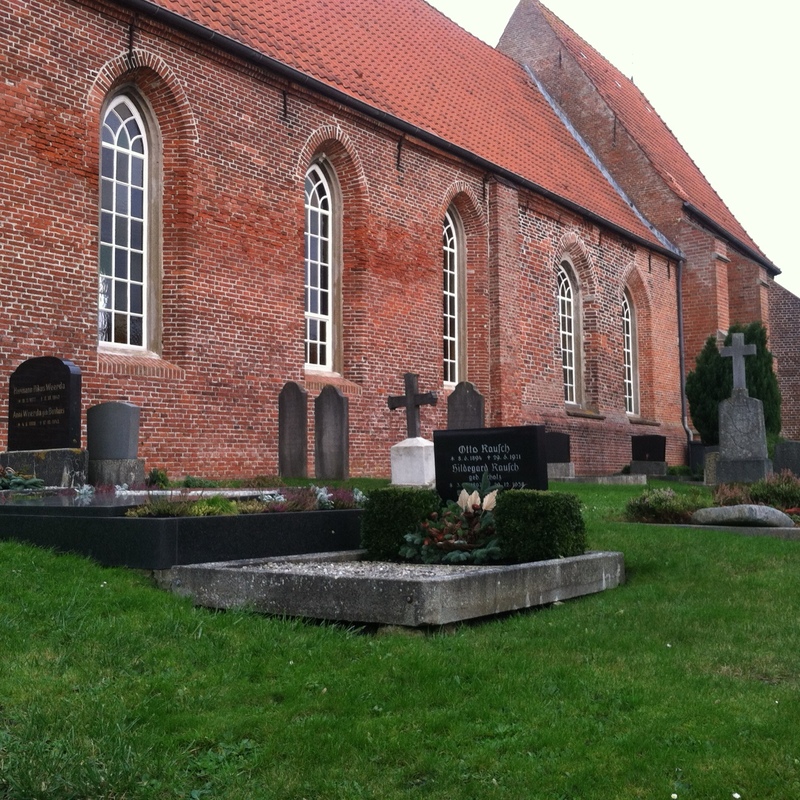 The Catholic church in Petkum, about one block from where my great-grandparents lived. 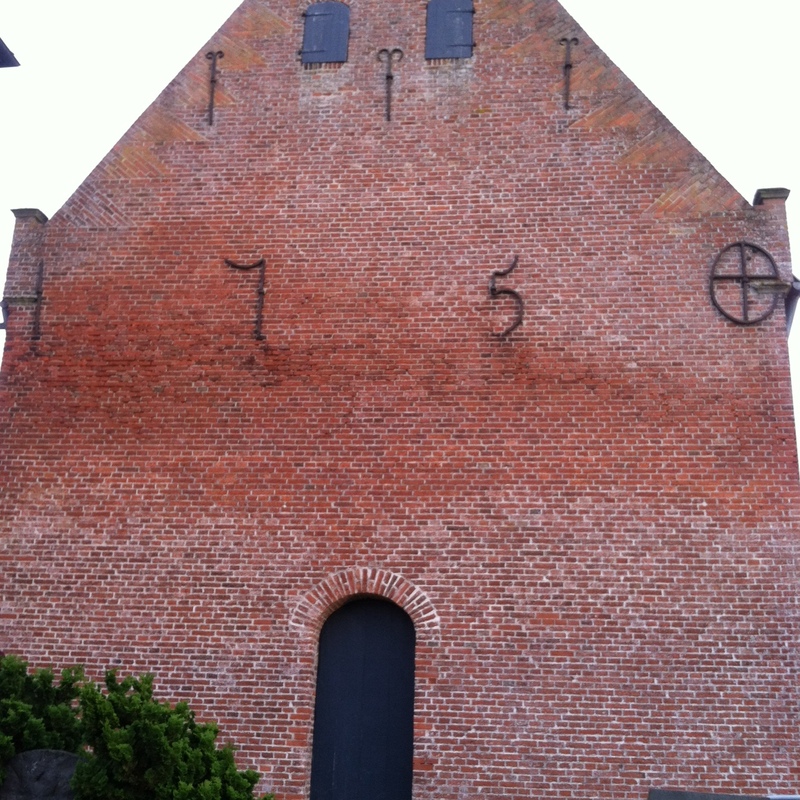 The church was built in 1750. My great-grandparents moved to the U.S. in the 1890s, but my grandfather was born in Petkum, and was no doubt baptized in this church (It was the only game in town). 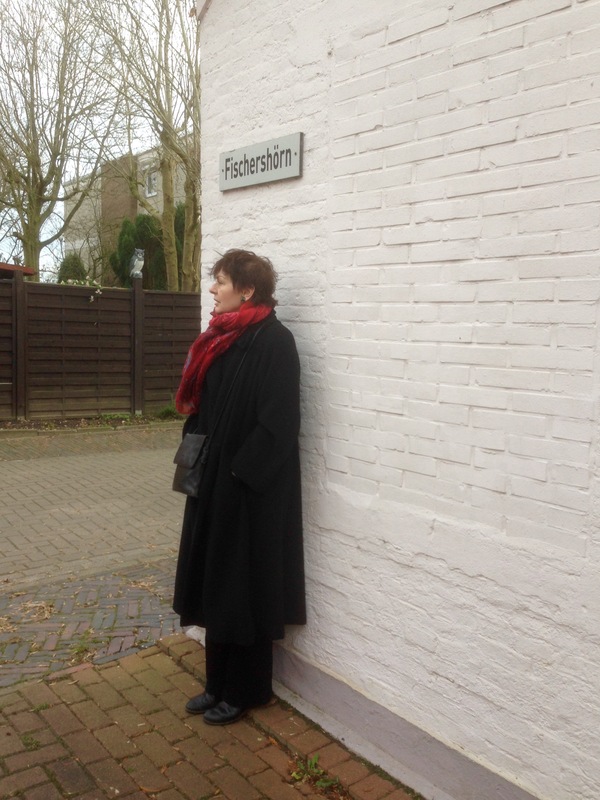 Julia’s father had given her the name of a street, Fischerschörn, on which my great grandparents had lived. We found it, and although there were some very old houses on it, her dad was certain that the one we wanted had been demolished. Still, the feeling of being on the same streets trodden by your forebears is a seductive phantom nostalgia. If my great grandparents hadn’t decided to come to America in the late 1800s this could have been my home town. The street where I could have lived. 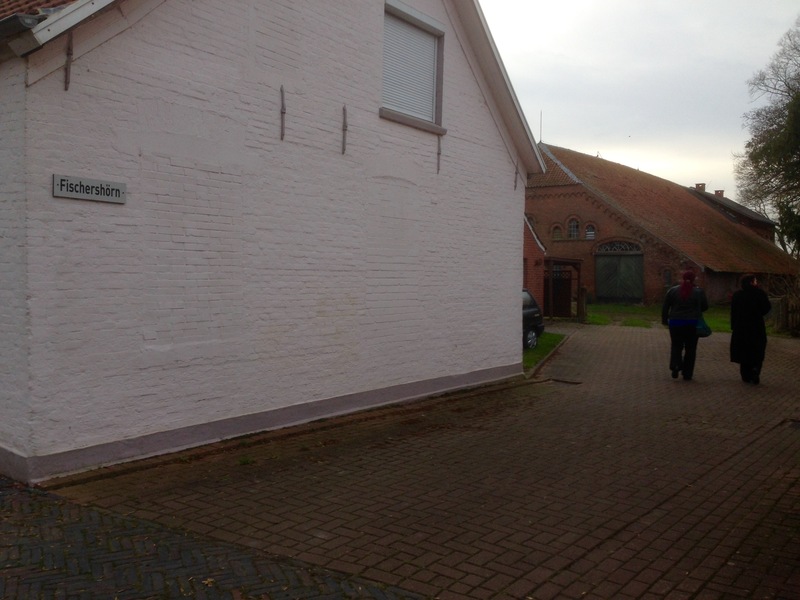 Julia and I explore the short street where the ancestral home was. From there we walked less than a quarter mile to the top of a dike from which we could see the North Sea in the distance. I spoke greetings from America to the local sheep who were grazing on the nearby hill and they ignored me. They are unmoved by foreigners. 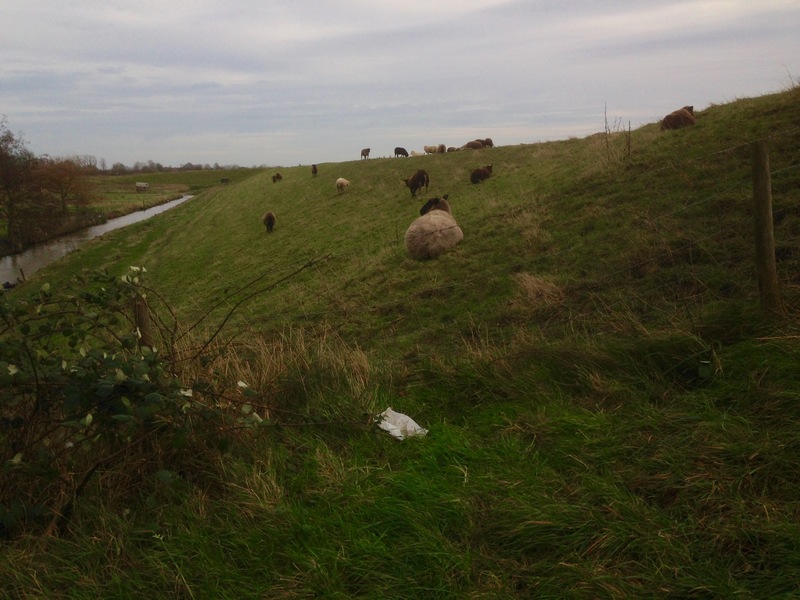 The sheep alongside the dike were more interested in staying out of the wind than chatting with Weertses. 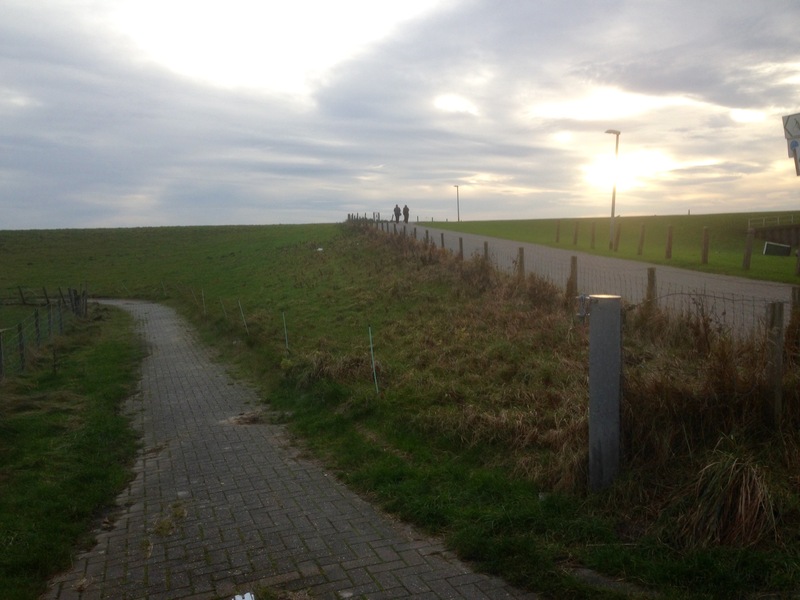 Julia and I climbed to the top of the dike; a horizon that would have been known to my grandfather. From there we looked to the North Sea, and toward America. How many times did my great-grandparents do the same before departing? We made our way back to Emden and sat in a coffee shop for a while and spoke of many things. Julia gave us lovely gifts including a pair of tiny steins with the Emden symbol of “The Angel on the Wall”. THe resident landscape artist on the blogroll, Sharell at Zumbro Falls Impressionist (see “Night Lights” list at right), shares a Christmas oil painting in a post that also references the Reverend Mother. Holy Night at the Chicken Coop demonstrates Sharell’s wonderful talent for working with light and warmth. The warmth — even on a painting of a cold, snowy winter night — comes from the obvious love and vision Sharell has for the Minnesota landscape of her home. I’m sure you’ll enjoy a visit to the coop and to the other wonderful scenes featured on her blog. The images are suitable for printing or for downloading as screen-savers, as some of Sharell’s readers/followers already do. I want you to know that I finished today’s NYT crossword puzzle in about 50 minutes; although I didn’t use a pen. But my pencil was mechanical!